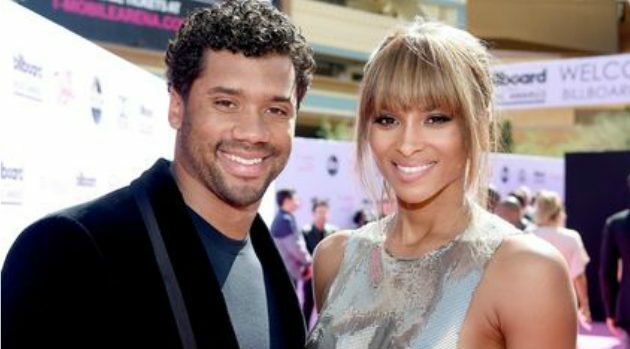 The singer and the NFL quarterback tied the knot in the U.K. on Thursday afternoon, a rep for Ciara confirmed to ABC News. According to E!, the wedding took place at the Peckforton Castle in Cheshire, England. The happy couple both posted the same wedding photo on Instagram: she’s wearing a veil, a long gown with a lace-up front and long lace sleeves and carrying a bouquet of white flowers. He’s wearing a black tux with a morning coat and white tie. “We are the Wilsons!” reads the caption. According to E!, the blushing bride’s dress was designed by Peter Dundas, creative director for Roberto Cavalli. The Grammy winner, 30, and the one-time Super Bowl champion, 27, were first linked last year and announced their engagement this past March. Last year, Wilson revealed that the two had decided to remain abstinent until marriage because of their religious beliefs. This is the first marriage for Ciara, who has a son from a previous relationship with rapper Future. It is the second marriage for Wilson, whose first marriage, to his high school sweetheart, Ashton Meem, ended in 2014.